Pulls for the last three weeks have been interesting: the Queen of Swords (Nov 27), the King of Swords (December 4) and the Nine of Pentacles (Dec 11). Lots of decision making - although in an elegant, mindful fashion - are reflected in the King and Queen of Swords cards. 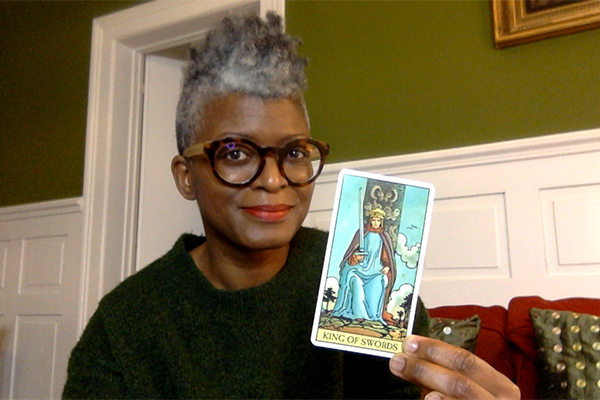 The Nine of Pentacles continues the theme of elegance combined with focusing on reaping the benefits of your hard work while staying above the fray that may be caused by (or blamed on) the current Mercury retrograde. Feel free to subscribe. I'll post a card every Monday with suggestions on how to use its energy to navigate the week.